It’s been a long time since I’ve reviewed anything on this site! 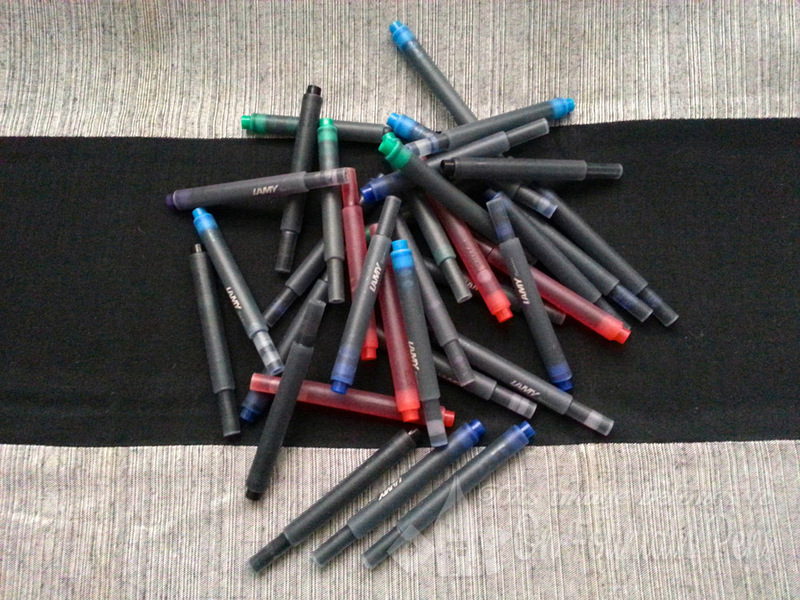 It’s not that I have no more pens to review – in fact, the number of pens waiting to be reviewed is a few times more than the number of pens I have actually reviewed on this site. But today, I am choosing this pen to talk about because I thought it fits into the Christmassy Season of Giving. I received this pen from The Pen Company a while ago and I couldn’t be happier when I received it! 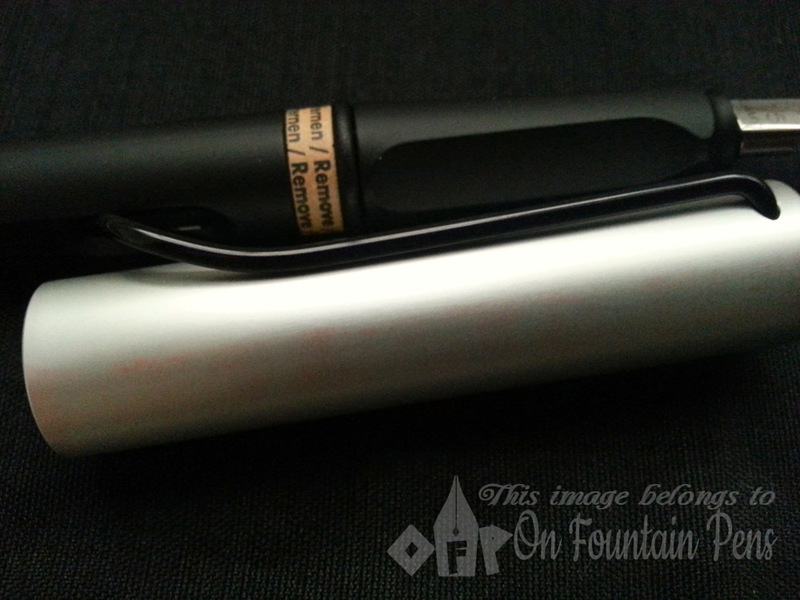 Presenting… the Lamy Joy AL Calligraphy Pen! For those of you who are familiar with the “nomenclature” of Lamy pens, you can pretty much guess that this is named “AL” because of the aluminium cap, as opposed to the glossy, all-plastic cap and barrel of the original Lamy Joy. 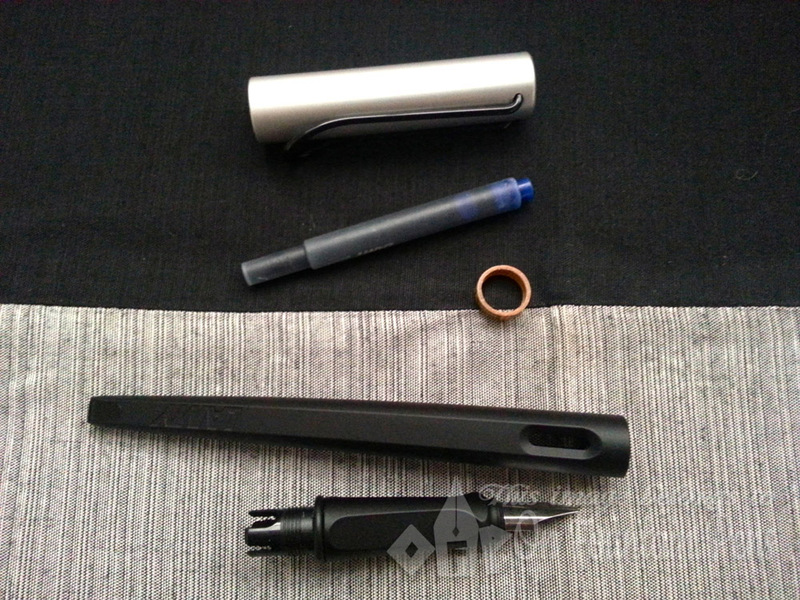 This Lamy Joy AL has a silver aluminium cap with a black clip, and the barrel, while still made of plastic, has a smooth black lacquer over it. It is not glossy, but matte, the way I like it. Unless I’m mistaken, the AL release comes only in one colour and finish so far. I’ll be looking out for more interesting colours – maybe a pink clip and barrel? Or white? How about a clear version? When it comes to Lamy pens, I have always preferred either the clear Lamy Vista or the pretty Lamy AL-Star. I like clear pens so I can see what’s going on inside, and to be sure I have completely cleaned out the ink when I do my cleaning. And for aluminium pens, I adore them for the modern and futuristic feel. 1.5mm nib… is anyone trying to measure it? This particular pen that I received came in a 1.5mm stub, which is quite ideal for me for writing italic calligraphy. These pens also come in 1.1mm and 1.9mm sizes, so you can choose the one you prefer! Alternatively, I think you can get the nib itself and do replacements on your own – the nib is really easy to change. 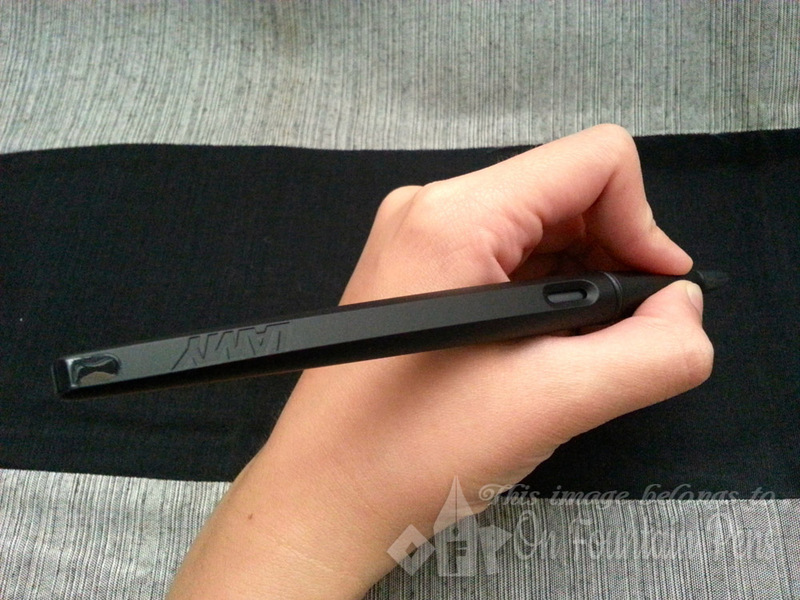 The nib is glossy steel and the size is printed, together with the brand name, on it in fine print. You hardly even notice it when you write. Had the nib been a little glossier, I would have been able to see a clear reflection of myself in the nib! There are no carvings or elaborate prints on the nib – Lamy likes to keep things simple and functional. I was getting ready to plug in a cartridge and start using it when I noticed they have something around the barrel, a ring of cardboard that says “Remove” in various languages. I suppose this is a buffer to prevent any existing cartridge inside the pen from being plugged in by mistake. I unscrewed the section and took out the cardboard ring and Lamy’s standard blue cartridge which came together inside the barrel. The Pen Company was also immensely kind to send me a whole bunch of cartridges for my own use! There were seven different colours: black, blue-black, blue, violet, turquoise, green, and red. 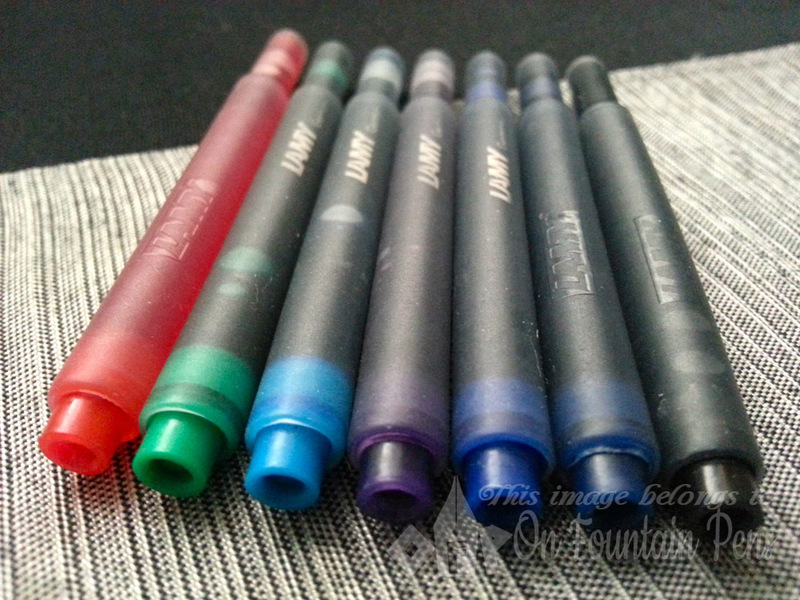 That’s actually… ALL of the available Lamy colours! I like purple ink so I plugged a violet into the pen, and it was good to go. 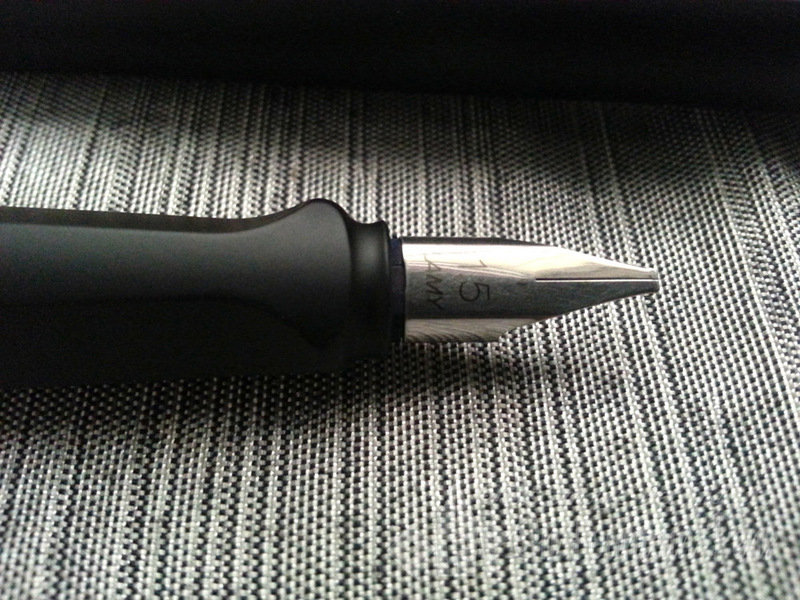 Fortunately, this 1.5mm Lamy nib is great, so even when “pushing”, it isn’t scratchy at all. I can write properly without feeling that it is bothering me. Here’s a writing sample. This is the best it gets for today as I haven’t been practising my calligraphy. At all. 🙁 The arrival of this new pen should motivate me more to practise on my calligraphy writing! Posted: Approx. 17.0 cm. Actually, there is no need to post and not such a great idea to post the cap on the pen. It is nicely balanced uncapped, and I feel it isn’t ideal to have a top-heavy pen to write calligraphy with. Fun fact: The cap is interchangeable with the Lamy AL-star cap! There’s some space for fun and variation there, but please choose your cap colours wisely, or it will just look like an alien. 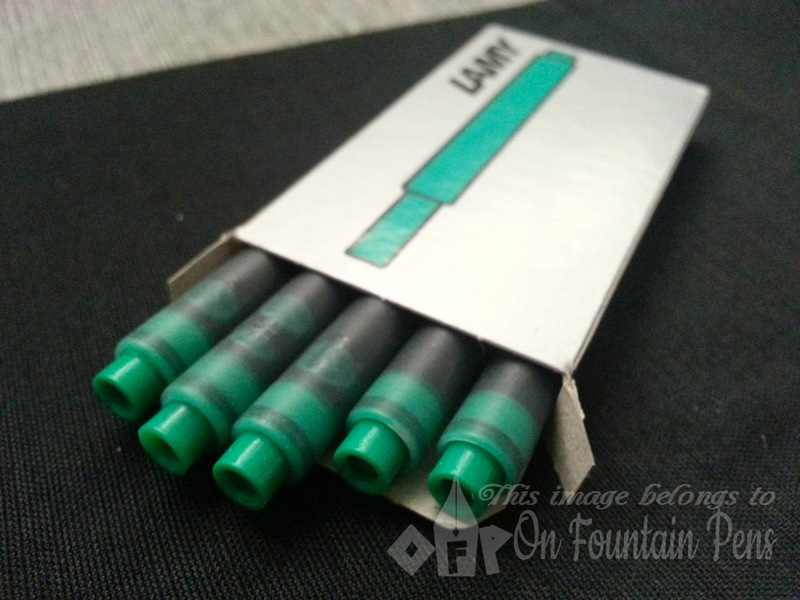 And here is some eye candy of Lamy’s Giant cartridges. They come in boxes of five and should fit all Lamy pens. 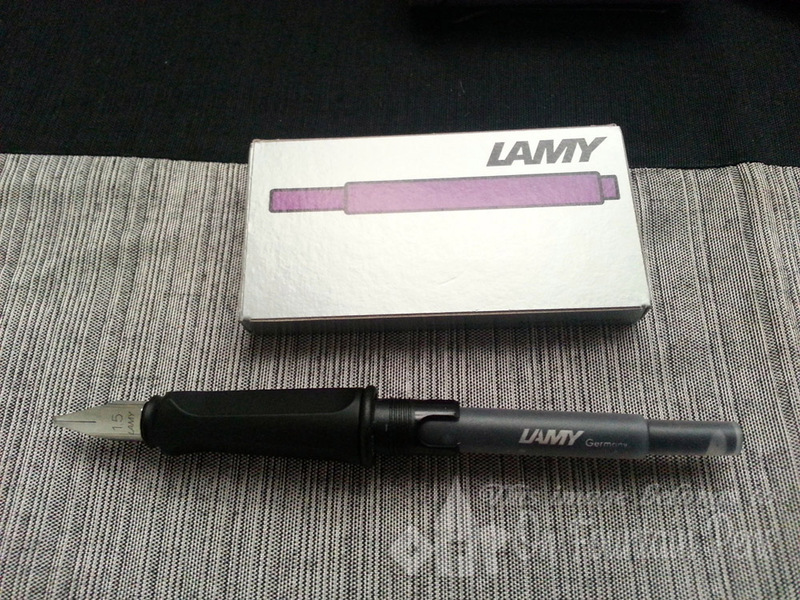 Lamy is still a little conservative on the ink side – they should have more funky colours like pink and orange! 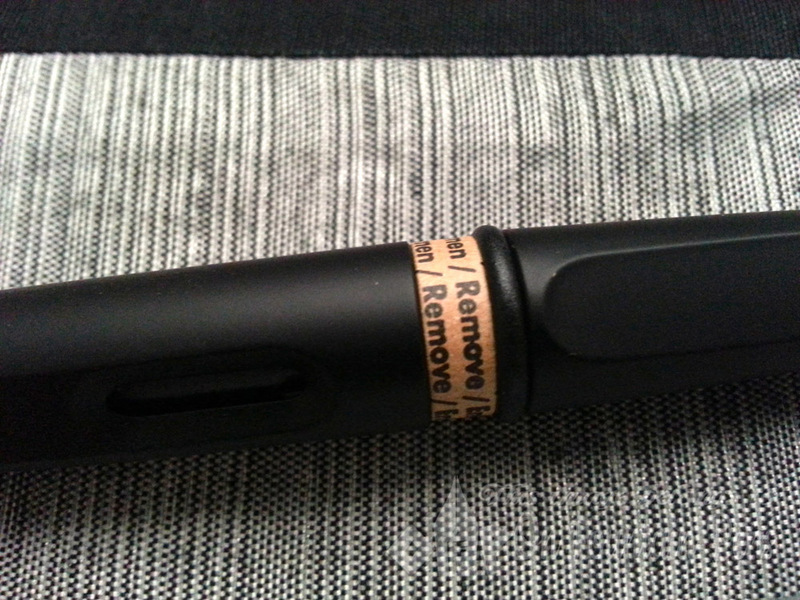 … the “Lamy”-ier we’ll be! http://www.thepencompany.com/lamy/. They are a nice bunch of people! 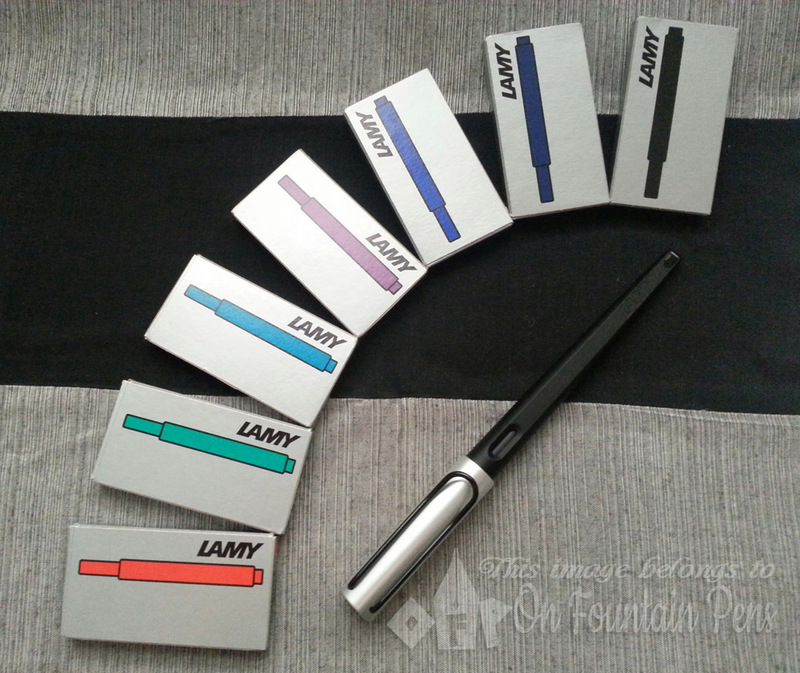 Disclaimer: All views expressed in this review are my own, and I am not affiliated to Lamy or The Pen Company in any way. I am a lefty as well. 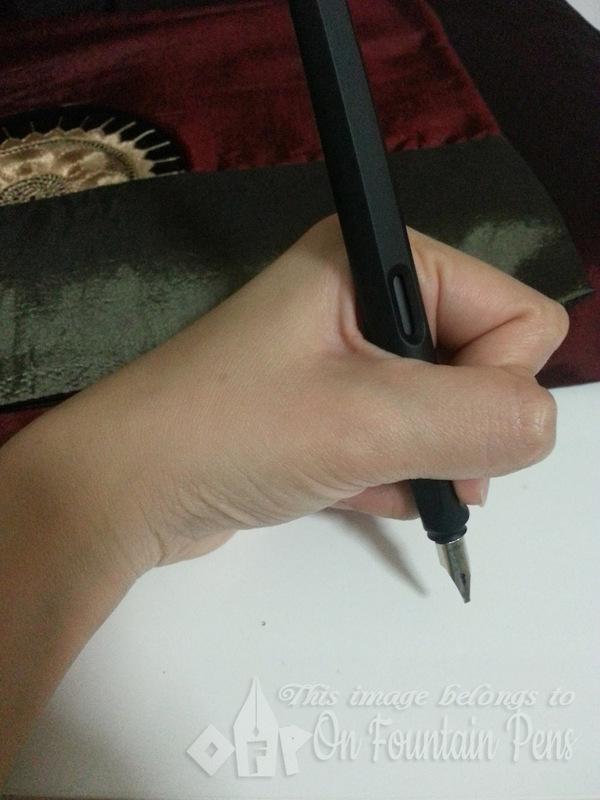 . . try turning your paper 90º clockwise when writing with an italic nib. . . I bet you’d be good-to-go with a better grip.